When many people think of a roof, they usually think of the traditional asphalt shingle model, or perhaps concrete for an industrial design. If the subject of a metal roof comes up, some folks think of a rickety tin roof and the incessant ratatatatat of rain falling on it. 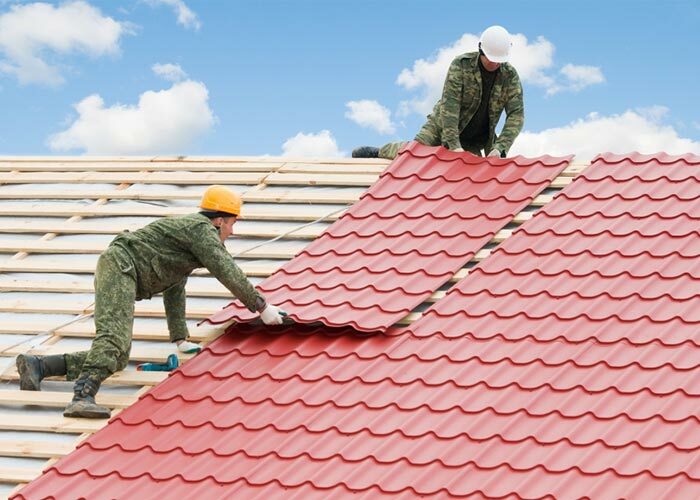 But as one of the premiere roofing contractors in New Jersey, we’re here to tell you a metal roof is one of the smartest investments you could make for your business. Sure, back in the day, most people opted to go for asphalt, concrete, or clay for their roofing needs. But the fact is that times have changed, and there has been a massive technological leap forwards in the field of roofing materials. Metal roofing is indisputably the way of the future, and it just might be what you need for your building. Keep reading, and we’ll share a few reasons why having a metal roof installed is an exceptionally wise choice. It’s possible that the primary reason people opt for a metal roof is the enormous amount of money that is saved over the long run. It’s true that a metal roof costs more to install than traditional asphalt. But asphalt roofs usually need to be seriously repaired or reinstalled entirely every 15 years. Metal roofing is built to last a literal lifetime, and they usually include a warranty good for 30-50 years. Remember we talked about the belief that the sound of rain on a roof would drive you nuts? While that might be the case for an old tin shack, today’s roofing is different. When it’s installed properly by a competent professional, metal roofs can actually be highly effective in terms of soundproofing, more so than many other materials. More than ever, business and homeowners are considering their environmental footprint when it comes to using housing materials. Remember that asphalt roofing shingles generally only last 15 years. After that, they go into a landfill since they can’t be reused. When a metal roof is manufactured, it’s constructed from recycled materials, usually between 30%-60%. 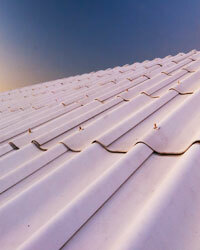 Better yet, if a metal roof needs to be removed, the materials can be re-recycled over and over. Metal roofing is also a highly durable material. Consider the amount of potential damage a roof needs to be able to withstand. It should be able to hold up to high winds, snow, intense rain, hail, and even fire. A metal roof correctly installed can withstand all of that, plus it’s also designed to be nearly rust-proof. All you’ll need to do is perform routine maintenance, and your metal roof will stand strong for decades. For some people, a metal roof conjures an image of a shiny steel roof that blinds people for miles around. Metal roofing is not only designed to be durable, it’s also designed to be aesthetically pleasing. There are a huge variety of design choices, styles, and colors. You even have the option of a design that is virtually indistinguishable from asphalt shingles. It looks traditional, but it will last far longer.